Santa Clara County is leading the way on bail reform. 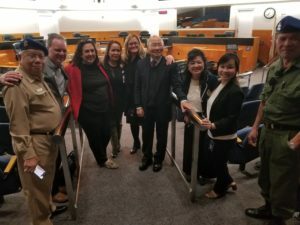 The Board of Supervisors has approved a package of proposals that could make the County the first in the state to end the current private, money-based system meant to ensure that defendants show up for court appearances and keep out of trouble while awaiting trial. Supervisor Cindy Chavez, who has studied the County justice system for several years and is driving the board’s reform effort, says the current system discriminates against poor people yet doesn’t reliably keep dangerous people locked up. She says it’s time to replace the bail system with something better, cheaper, fairer, and more effective. The recommendations coming before the board to do just that were drafted by a task force she’s leading. If approved, the county’s proposed new system calls for a major expansion of and significant changes to pretrial services. The changes are aimed at more quickly and thoroughly assessing detainees’ risk to public safety and providing more help for substance abuse and mental health issues when they are released. It also would include a court date reminder element that doesn’t currently exist. The idea is to make judges more confident about releasing as many defendants as possible on their own recognizance or under appropriate supervision. Supporters of reform believe that allowing low-risk offenders to continue living among their loved ones, and away from jail convicts, while they await trial builds better community ties and keeps more people from getting into trouble again. Those who make bail can be back on the street within hours, while those who can’t often end up jailed for weeks, even months, fighting their cases from behind bars with scant access to family, friends or lawyers. The opportunity to bail out “means the world,” says 34-year-old San Jose resident Jose Valle, who spent eight months in jail a decade ago awaiting trial because he couldn’t post bail. Valle emphasized the difficulty of working with his public defender from behind bars as well as the disadvantage in making court appearances – those who can afford bail can dress up and appear presentable, while those in jail must appear in their jumpsuit, sometimes shuffling to court in chains. Stanley says crime has increased since Californians adopted reforms to reduce prison populations and predicted that if the state Legislature passes a bill eliminating money bail, it will cost the state “tens of millions of dollars” more each year. Chavez disagrees. Studies, she says, including the county’s own, show that people who are released on their own recognizance or under supervision are just as likely to show up for court as those who pay bail to get out.